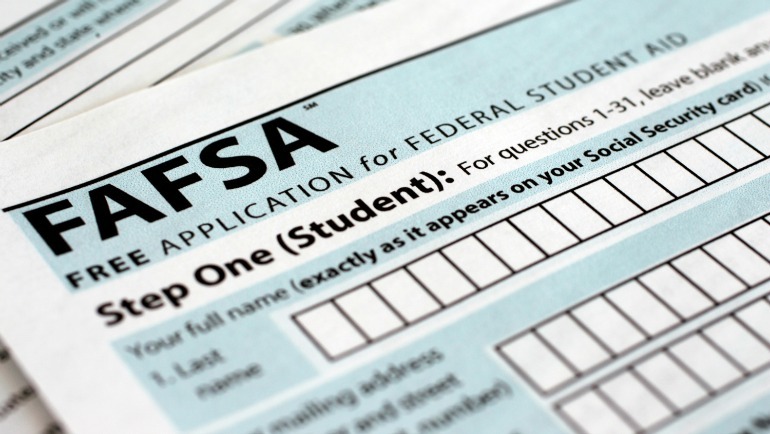 If you want to maximize the amount of financial aid you are eligible for, the 2019-20 Free Application for Federal Student Aid (FAFSA) submission process is now open. In fact, Wayne State is providing some incentives to encourage students to file early. Students who have completed the admission application and filed their FAFSA by Dec. 1 will be eligible for priority consideration for merit scholarships; additionally, they will be entered into a drawing for the chance to win one of five $500 book scholarships. Despite the push to fill out FAFSAs, Kay said it’s also important that students and their parents or guardians take their time when doing so to avoid any errors. The Office of Student Financial Aid is hosting FAFSA Fridays, during which a financial aid officer will assist students with the filing process. FAFSA Fridays will be held on Oct. 5 and 19, and Nov. 9 and 30 from 11 a.m. to 1 p.m., and on Oct. 12 and 26, and Nov. 16 from 2 to 4 p.m. FAFSA Fridays will be held in the David Adamany Undergraduate Library, Lab A. No appointment is needed. If you are unable to attend a FAFSA Friday session, financial aid officers are still available to help students with questions about the process. Walk-in hours at the Welcome Center are from 8:30 a.m. to 6 p.m. Monday through Thursday, and from 8:30 a.m. to 5 p.m. on Fridays. For many families, the IRS Data Retrieval Tool will transfer income and tax information from the 2017 tax return to the 2019-20 FAFSA and accurately fill in the required data fields. This will not only save time while completing the FAFSA, but it will also be beneficial later if the Office of Student Financial Aid needs to review your application for any corrections. "It not only simplifies the process of filing a FAFSA but can save students and families from delays later in the awarding cycle,” said Kay. To be considered for a WSU grant or award, the FAFSA must be filed and received by the Office of Student Financial Aid by March 1, 2019. FAFSAs filed after March 1 will be only considered for the federal Pell Grant and federal direct loans. A step-by-step FAFSA guide is available at studentaid.ed.gov. Michigan residents should file the FAFSA by March 1, 2019, to be considered for a State of Michigan scholarship. Detailed information about federal financial aid is available at studentaid.ed.gov. Additional information about WSU financial aid is available at wayne.edu/financial-aid. File the FAFSA online at fafsa.gov using the Wayne State University school code 002329. If you have questions about the financial aid process, contact the Student Service Center at 313-577-2100 or studentservice@wayne.edu.